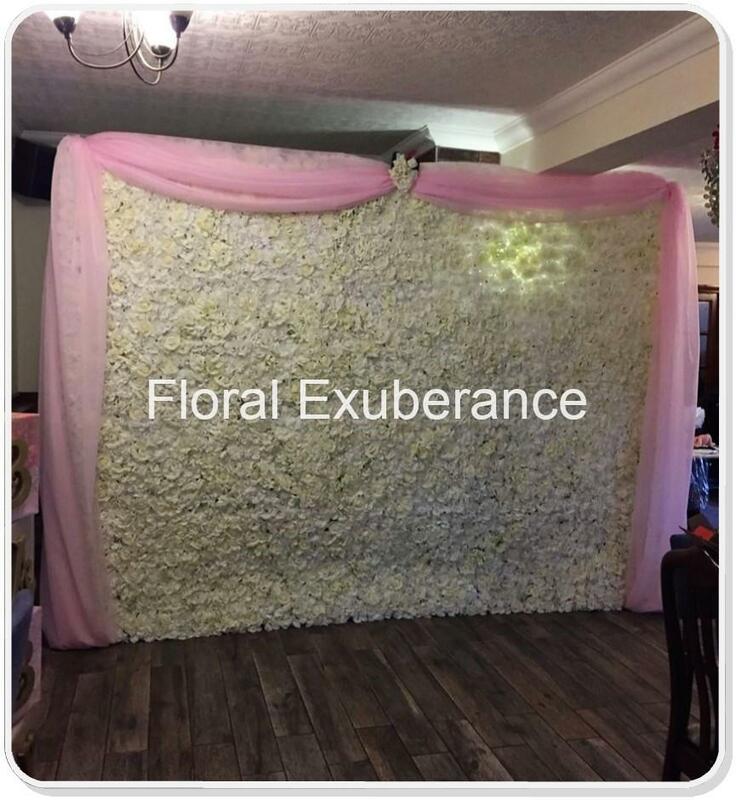 Our beautiful white, ivory floral wall is a fabulous way to customise your wedding and create amazing photo opportunities. It’s available in any size up to 10ft long and looks amazing with our mood lighting. Delivery and set up is available within a 75 mile radius of Walsall- Please see our delivery area and fees. ​24 Hours a day ~ 362 days a year ~ Events 24 hours a day ~ 7 Days a week!